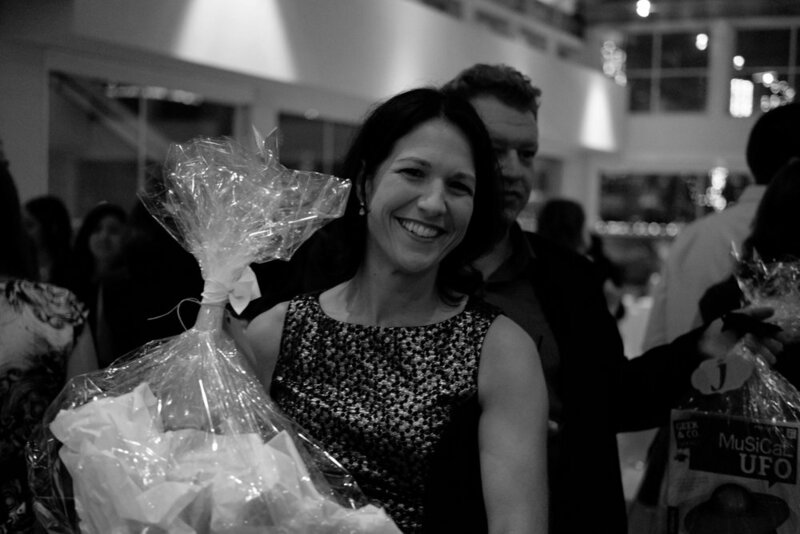 thank you to all of our donors and guests for making our event a huge success. Please visit our 2018 events page to SEE Photos. Rock was honored to sponsor a young girl with Down syndrome (DS) at the 6th annual Hoboken Bike Camp. The camp teaches individuals with disabilities to independently ride a two-wheel bicycle. Operated in conjunction with Hoboken Family Alliance and iCanBike, a national, not-for-profit organization, and the City of Hoboken, the camp uses specially adapted bikes that use a roller instead of a rear wheel, allowing participants to become more balanced and comfortable in an accelerated time period. An on-site bike technician and floor supervisor helped advance participants throughout a series of levels, and within five days, participants rode independently! This life-changing program fosters inclusion, acceptance and independence, two wheels at a time. Rock the 21 kicked off Down Syndrome Awareness month by joining more than 2,000 walkers at the National Down Syndrome Society’s (NDSS) Buddy Walk. The walk was started in 1995 by the NDSS as an advocacy and fundraising event, and there are now walks in all parts of the world. Team Rock the 21 participated at the NYC walk in Central Park and a photo of Rocker, Alicia, appeared on the Times Square Jumbotron! Alicia’s photo was selected from thousands of entries in the NDSS worldwide call for photos. The featured photographs highlight children, teens, and adults with DS, reminding the world in a very big way about the contributions and milestones of people with DS. The walk was followed by games, food and fun. 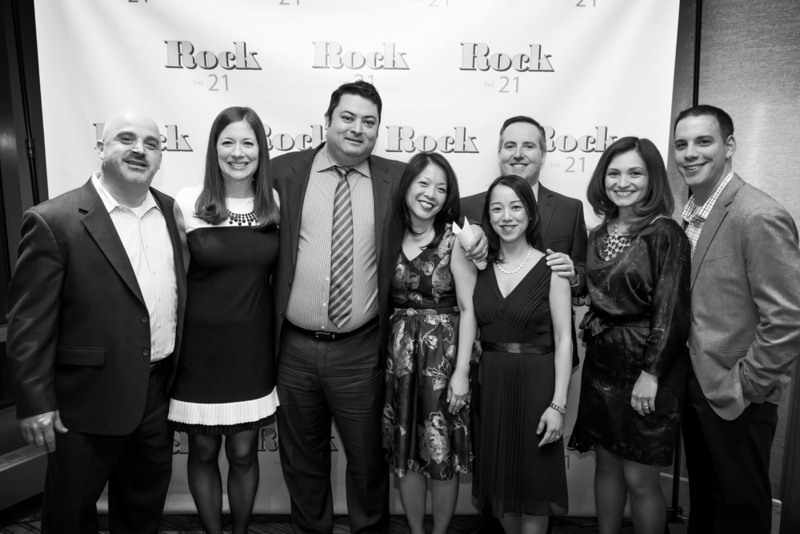 Team Rock the 21 was in the top 10 of the event’s donors thanks to the generous contributions of our supporters! To help our youngest community members achieve their fullest potential, Rock the 21 awarded $10,000 to Stepping Stones’ early intervention program scholarship fund. The scholarship will provide 320 hours of therapy for four toddlers with DS who would otherwise not benefit from the program due to financial constraints. and balancing, strengthening their pincer grasp, and drinking from a straw, to name just a few. These important skills will be the foundation for a future filled with many successes and milestones. Mayor Dawn Zimmer issued a proclamation to recognize March 21st as World Down Syndrome Day in the City of Hoboken! 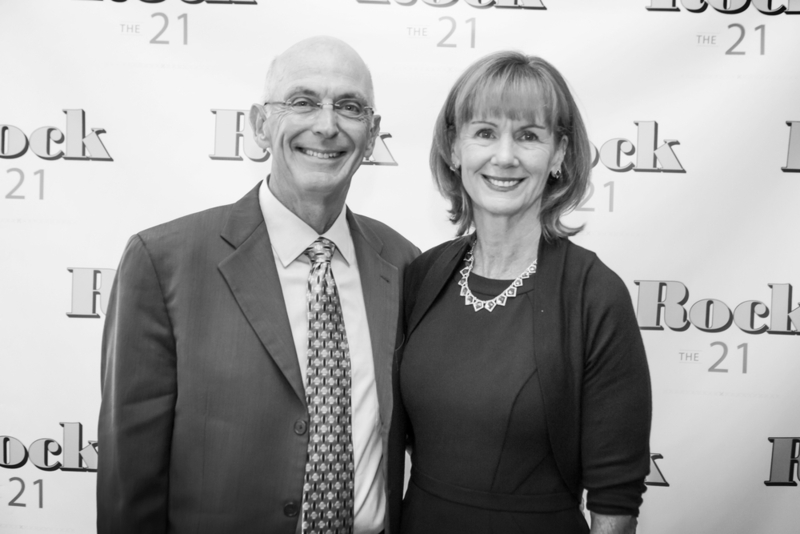 Mayor Zimmer honored Rock the 21 for its efforts in creating social awareness and educational opportunities for the City, and supporting individuals with Down syndrome. 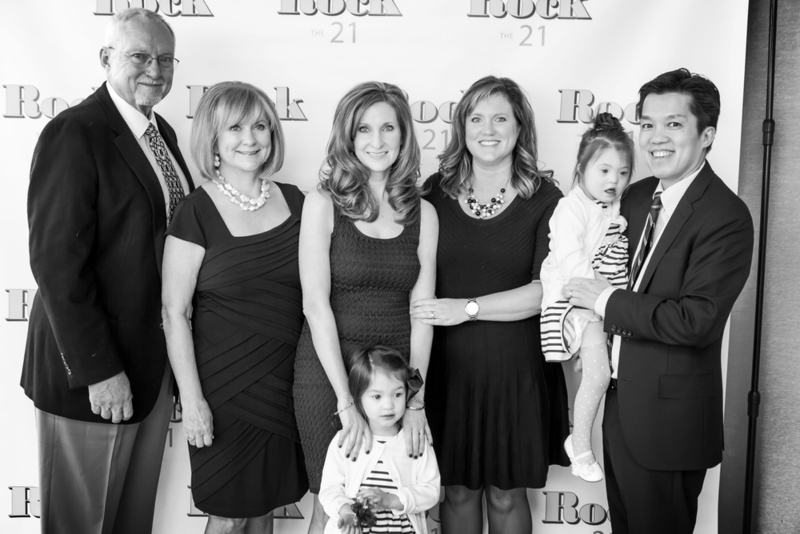 Each year, Rock the 21 brings individuals with Down syndrome (DS) and their families together to celebrate World Down Syndrome Day. World Down Syndrome Day is observed on March 21st – a date formally recognized by the United Nations to signify the uniqueness of the triplication (trisomy) of the 21st chromosome which causes DS. On this day, people with DS and those who live and work with them, organize and participate in events to raise public awareness and create a voice for advocating for the rights, inclusion and well being of people with DS. 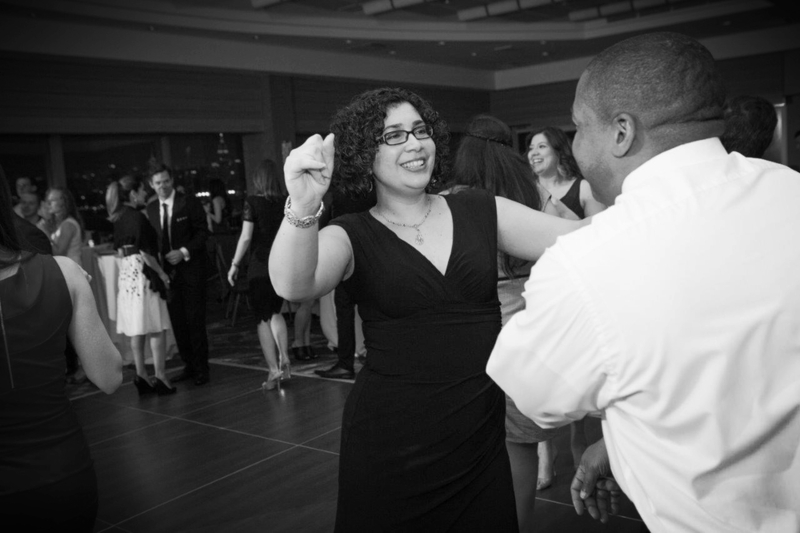 Our celebration exceeded expectations! 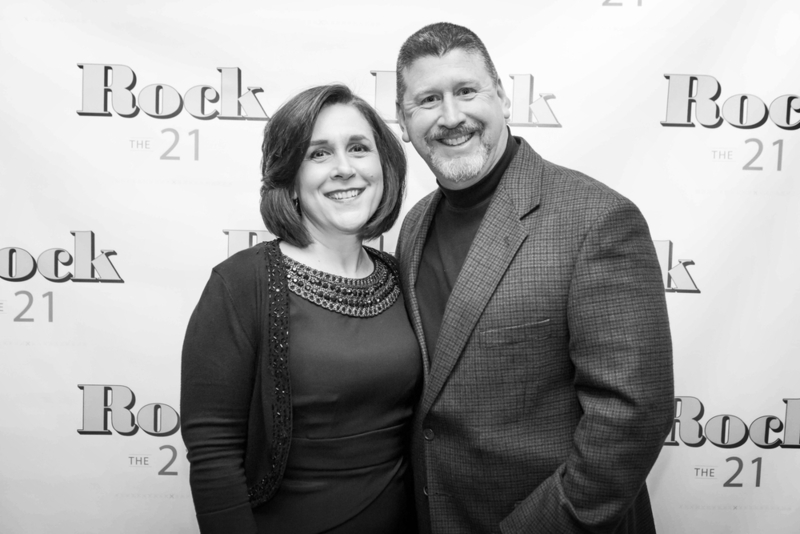 With more than 50 people in attendance, Rock the 21 hosted a dinner to build a stronger support system in Hudson County. It served as an opportunity for parents to network and share experiences, and for kids to form friendships and have fun! 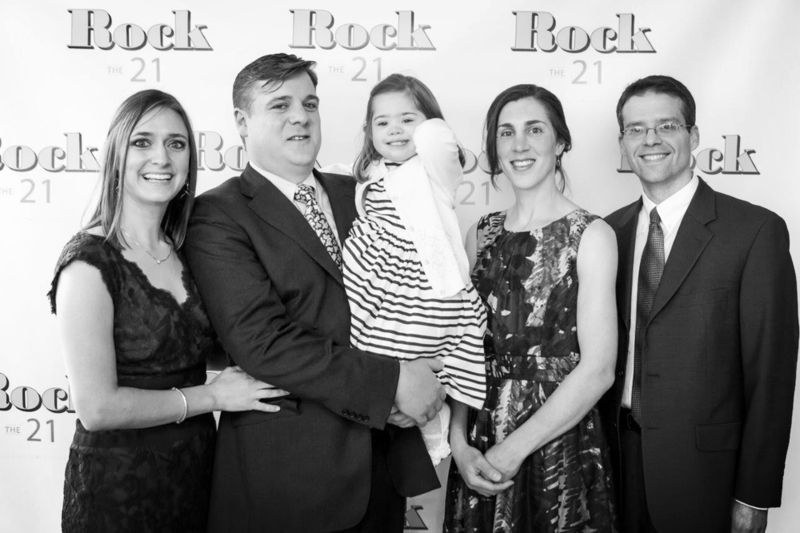 At the event, Rock the 21 honored Hudson Milestones for their work in helping persons with DS. 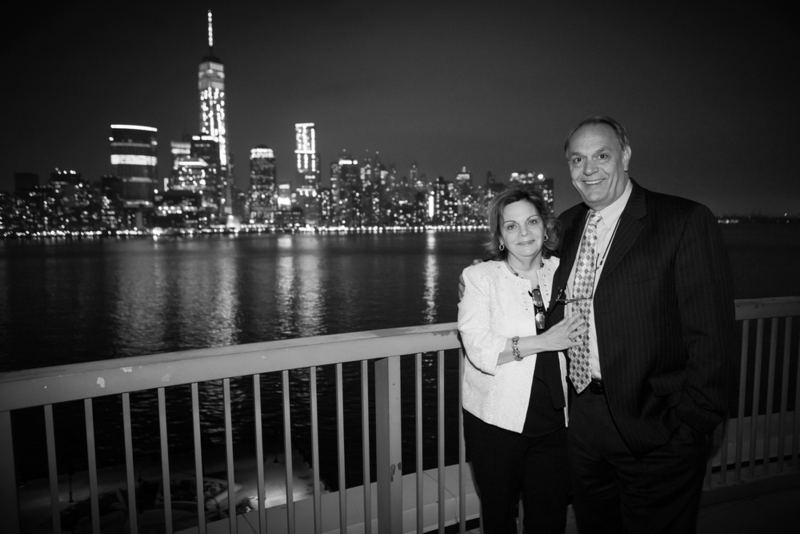 Their mission is to build and maintain a Hudson County-based organization dedicated to the care, support and advancement of persons with developmental disabilities and their families. 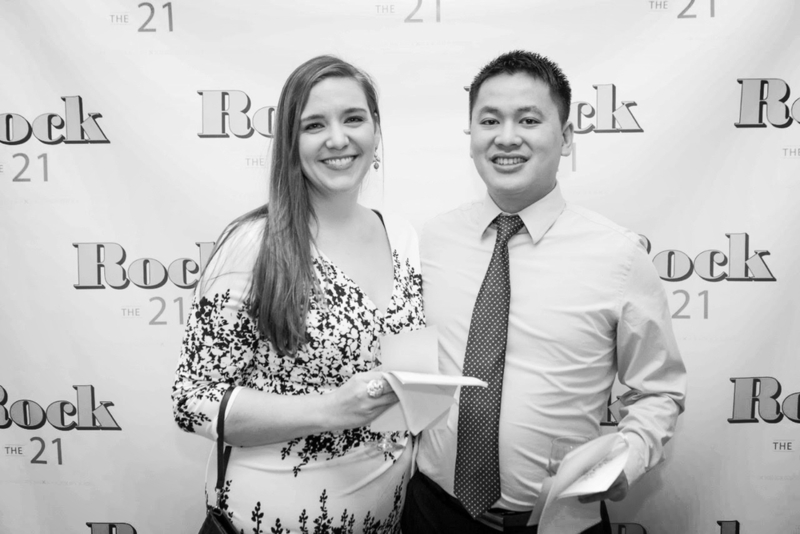 To support their early intervention program, Rock the 21 donated a variety of educational toys that stimulate the mind and provide sensory input for children ages 0 - 3 years. It was a great night meeting new families and celebrating all those who rock that extra chromosome! 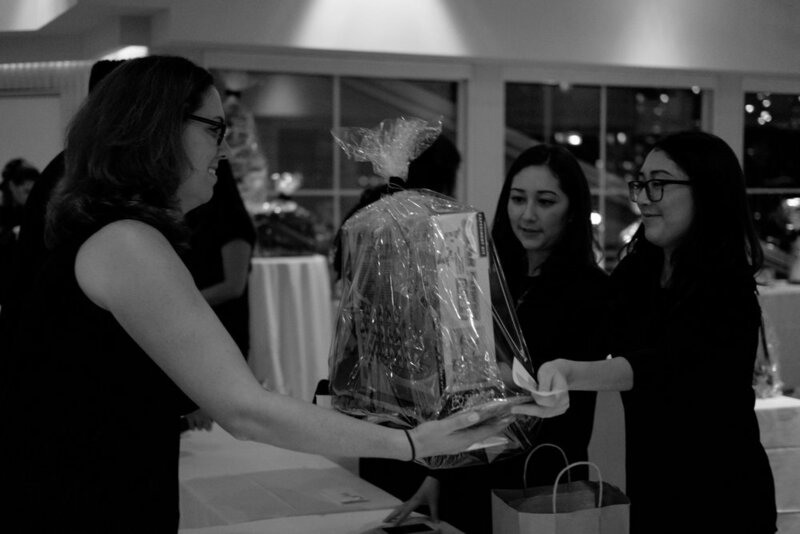 In partnership with the Hoboken Special Needs Parent Group, Rock the 21 hosted a night of exercising and networking for parents of children with special needs. The fun workout was followed by conversation, cocktails and healthy snacks! It was a great way to connect with other parents in our neighborhood. Many thanks to cycle studio, CycleBar, for offering us a free spin class. A big thank you to all of our local sponsors who made the event a huge success! To increase awareness and celebrate the uniqueness of each individual with Down syndrome (DS), our first event was a World Down Syndrome Day cocktail reception and fundraiser - Rock the 21 - at the Hyatt Regency on the Hudson, Jersey City, NJ on Saturday, March 21, 2015. This date signifies the uniqueness of the triplication (trisomy) of the 21st chromosome which causes DS. On this day, people across the world with DS and those who live and work with them, organize and participate in events to raise public awareness and create a voice for advocating for the rights, inclusion and well- being of people with DS. As proud families raising children with DS, the Rock the 21 event not only served as an opportunity to celebrate our children and help raise money for two great organizations, but also served as a critical opportunity to help raise social awareness and educate our friends, family, local businesses and community on what DS is, and that our children are more alike than different. All proceeds from the event went directly to the Candle Lighters — a New Jersey-based non-profit and the National Down Syndrome Society (NDSS). These non-profit organizations provide a variety of critically important resources and tools — from education and specialized therapies that are so important to individuals with DS — to hosting public awareness events that help build understanding, acceptance and inclusion of people with DS. Please click here to learn more about the activities and organizations that were supported by the 2015 event and click here to see a listing of some of our local sponsors. As part of our Rock the World initiative, Rock the 21 partnered with World Hope’s Enable the Children (ETC) in Freetown, Sierra Leone. ETC is comprised of dedicated local and expatriate staff who provide physical and occupational therapy, care and support services to children living with disabilities. Their services are crucial in a culture that largely misunderstands and undervalues individuals with disabilities. ETC is the only organization that currently provides this level of care in Sierra Leone. Another 3.21 Is In the bOoks! Annually, World Down Syndrome Day (WDSD) is observed on March 21st – a date formally recognized by the United Nations to signify the uniqueness of the triplication (trisomy) of the 21st chromosome which causes DS. 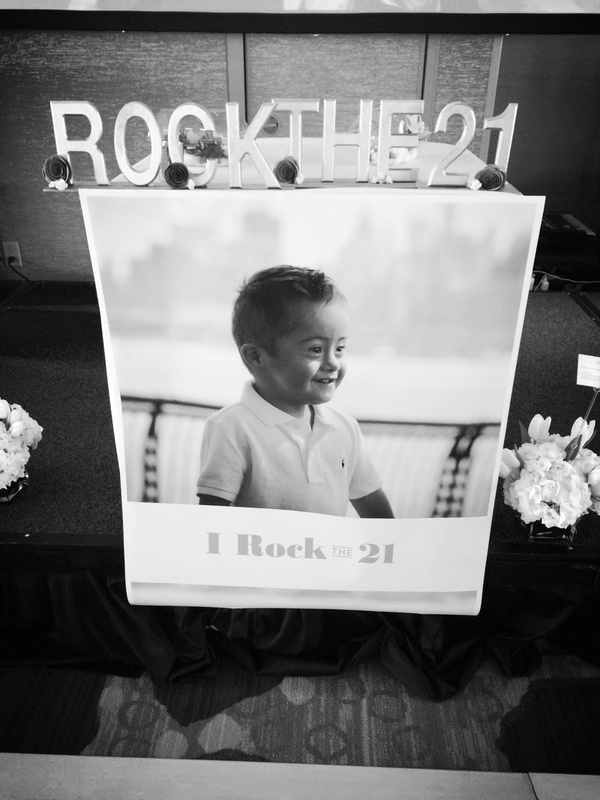 This year, we celebrated 3.21 in style at the Elk’s Club, as we were joined by local families who all share one thing in common…a family member who rocks their 21st chromosome! This annual event serves as a celebration, an informal support group, and another opportunity for us to strengthen community connections. Food, dancing, games and comradery made for a memorable evening. 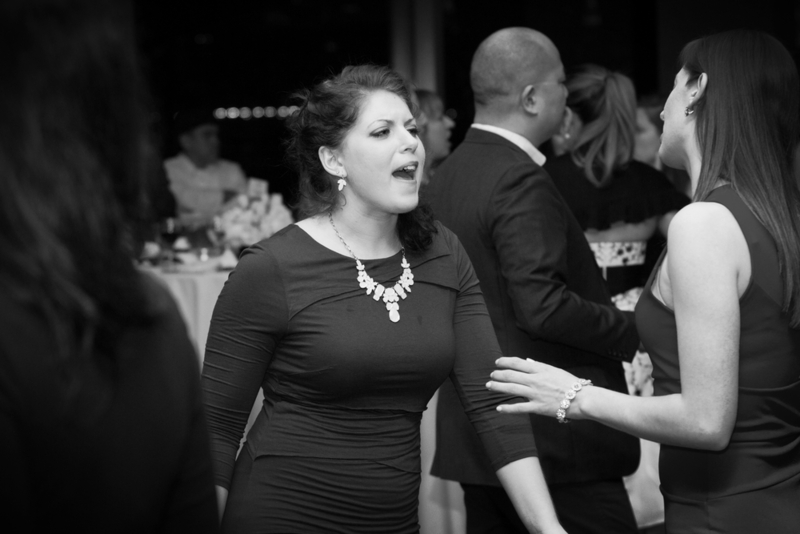 Read below to see how some of our supporters from near and far rocked the day away! Caitlyn Marchesani, a Rock supporter, participated in the National Down Syndrome Society’s (NDSS) “virtual’ racing event. The event encouraged participants to run, walk, bike, hike, swim and/or move for 3.21 miles at any time, any place and at any pace to celebrate WDSD and raise awareness for the DS community. Caitlyn and her team donated their proceeds to the NDSS and didn’t let the rain on 3.21 stop them from trekking from “the Bull, over the Brooklyn Bridge, to Barclay’s”! Led by Rachel Bello, Aunt to Rocker Alicia, the Carlstadt NJ Education Association hosted a WDSD rock your crazy socks fundraiser in honor of Rock the 21. By wearing colorful, spirited socks, they educated their fellow teachers and students about DS, and helped spread the message we are all more alike than different. For the second year in a row, employees at Newport Vineyards in Newport, RI, rocked their crazy socks on 3.21! 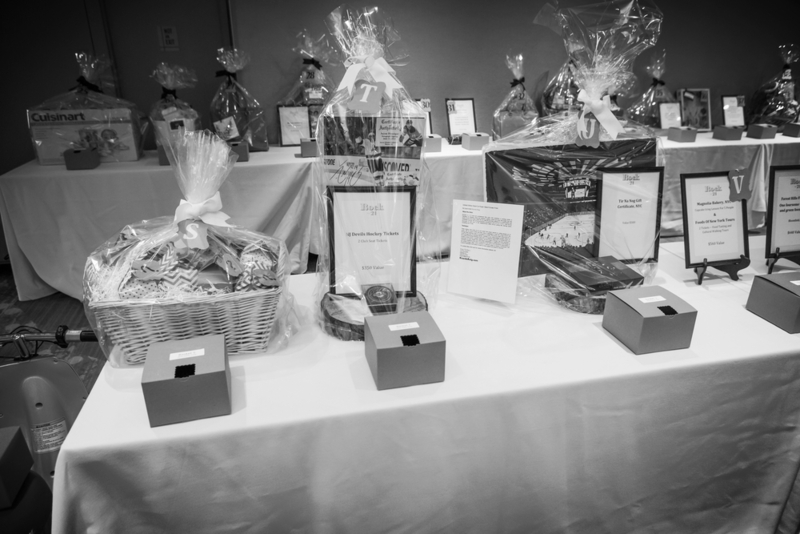 Organized by Rock supporter, Allison Wilke, the team at Newport Vineyards has made celebrating WDSD an annual tradition. The crazy socks sparked conversation and raised awareness among all who visited the Vineyard on 3.21. 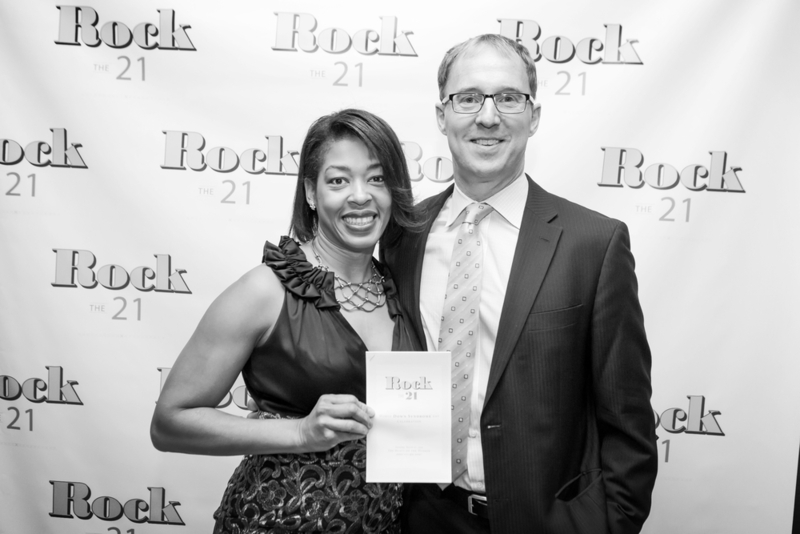 All proceeds were generously donated to Rock the 21. Finally, Rockin’ Socks events continued west with employees from Kingdom Capital in St. Louis, MO, including Rockin’ Aunt Michelle Hackmann, sporting their most fashionable, rocking socks. How did you celebrate WDSD? Send us your story at rockthe21ds@gmail.com. Rock the 21 was lead sponsor at Hoboken Special Needs Parents Group’s first Support & Resource Fair. This event was an incredible opportunity for families to discover locally available services for their loved one with special needs. Everything from sports classes and respite care, to doctors and therapists who all focus on persons with special needs were there to communicate resources and best practices to attendees. Throughout the afternoon, there were short presentations by special education professionals and a self-advocate. All those who attended walked away feeling empowered and supported by a connected community. The highlight of the day for the Rock the 21 team was meeting a family with a six-week-old baby girl with DS. Her parents heard Rock the 21 was going to be in attendance at the fair, and they traveled from another county to get connected, find support, and learn as much as they could about this new journey they had embarked on. With your help, we continue to fulfill our mission in meaningful ways. Adikalie is pictured here with this mother and Rock Family members Chris and Caden High. Adikalie, a nine-year-old boy with DS living in Sierra Leone, Africa, is the newest member of our Rock family. As part of our Rock the World initiative, Rock is sponsoring Adikalie to ensure he receives critical physical and occupational therapies, as well as much-needed financial assistance towards school fees, supplies, and a uniform.